The South African Chamber of Commerce and Industry (SACCI) hosted the African National Congress (ANC) last month. 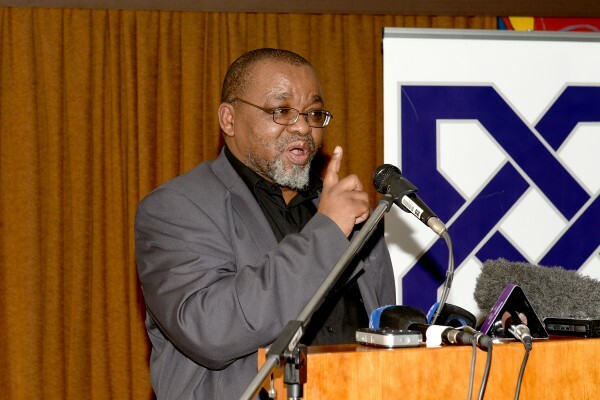 The ANC delegation was led by Secretary-General Gwede Mantashe, and the chairman of the ANC’s committee for economic policy transformation, Enoch Godongwana. 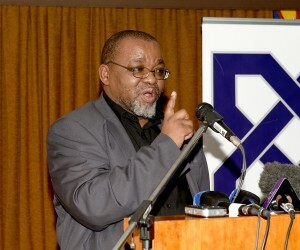 “It is important to understand the main goal of the ANC, which is transforming society. This transformation is not about forgetting what our past was like, but rather about being able to deal with the past. In this way, we cannot deal with the ugly past if we do not understand what makes it problematic. The struggle is against forgetting. We agree that we cannot continue to blame Apartheid for our problems, but we still need to deal with its legacy. The change we want to bring about is to transform the situation in which the majority of South Africans lived with little hope, to a situation where all can live with confidence. Working with SACCI we can achieve this. Those who have had access to wealth must know that the situation must translate to a common wealth. The liberation movement is about providing access to everything and so normalise society, but this normalisation must also reflect in business. Business must see BEE as a business imperative and not a punishment. There should not be malicious compliance with BEE requirements but rather a willingness to introduce BEE over-and-above what the law requires. In this regard business has been slow to introduce BEE. On the issue of criticising local government, the reality is that historically local government provided services to a small section of society, and that this provision expanded after democratisation without the concomitant increase in resources. The critiques must be placed within the context of this expanded mandate. SACCI should work towards putting resources into local governments and cooperate with them for mutual growth. The problem is that very few municipalities can sustain themselves based on their revenue alone, and there are talks to increase their share of consolidated government revenue pool. The discussion on the protection of property rights must take account of what the constitution provides: the protection is qualified and can be expropriated for a public purpose or in the public interest and this would include land reform. Property rights cannot be used to entrench the status quo. So the interpretation of the constitution requires an open mind. The private sector should not see itself as a victim of change, but should rather give constructive criticism. For example, comments on the infrastructure rollout should not focus on who gets the contract, but we should rather discuss ways to increase the productive capacity of the economy. In this regard, we want to hear the private sector come out in support of the planned N2 highway along the Wild Coast. The same goes for fracking, there should be a balance between environmental and developmental priorities, but the development must proceed. It is up to the private sector to have that debate. We need to accept that change is necessary and it is South African companies who need to drive this change. The private sector must be the architects of change and take control of their destiny. The Small Business Ministry mandate is to ensure that SMEs become the engine for job creation. In this regard, we want to see Development Finances Institutions (DFIs) take on a greater risk appetite, since the funding of SMEs will lead the private sector to follow suit. The private sector must be keen to get young graduates in order to affect skills transfer. It is false to claim that South African universities do not produce skills; this does not happen anywhere in the world. Tertiary education equips you with an analytical basis that can then be applied to learn skills. This is why skills transfer only occurs during work. The problem with South Africa’s strained labour relations is that there is a dearth of leadership in both the unions and companies involved. Companies must be better equipped to run industrial relations, but instead we are seeing a juniorisation of this function. The high turnover of leaders in the unions is having the same effect. The longer periods of strikes are also striking since these do not lead to larger benefits to the workers. Experienced trade unionists would not engage on long strikes, but would rather call off the strike, renegotiate and recall the strike if that negotiation does not pan out. On the need to introduce the strike ballot, it is a good thing to call a ballot because it does two things: its tests the support for the strike and it mobilises support for the strike. In so doing, it also helps the union to grow its membership. If you don’t want to hold a ballot, then you are an amateur. Only when we talk to each other will we take South Africa forward. “The problem with DFIs and funding to SMEs is that South Africa does not have a large enough venture capital industry. We also need to consider how accessible DFIs are to ordinary SMEs.